In this article, I am putting together information on the science of Kriya Yoga from Paramhansa Yogananda’s book, ‘Autobiography of a Yogi’ and from the lectures given by Yogiraj Gurunath Siddhanath. Yogananda summarised in his book, “Kriya Yoga is a simple, psycho-physiological method by which the human blood is decarbonised and recharged with oxygen. The atoms of this extra oxygen are transmuted into life current to rejuvenate the brain and spinal centres. By stopping the accumulation of venous blood, the yogi is able to lessen or prevent the decay of tissues; the advanced yogi transmutes his cells into pure energy”. A friend commented that after he started practicing Kriya Yoga, he felt more energised and do not need to sleep as much. Sorry to burst your bubble if you enjoy sleeping! 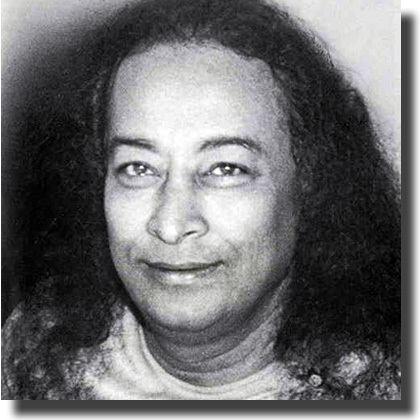 When introducing Kriya Yoga, Yogananda emphasised on the technique. This reminds me of Swami Rama’s statement that Yoga is not a religion because it does not offer any belief systems; it provides us with methods/techniques. This is good news because it will not contradict whatever religious beliefs that we have. If anything, it will enable us to understand them better. Yogananda further explained, “The Kriya Yogi mentally directs his life energy to revolve, upward and downward around the six spinal centres…which correspond to the twelve astral signs of the zodiac, the symbolic Cosmic Man. One-half minute of revolution of energy around the sensitive spinal cord of man [by using a certain pranayama technique] effects subtle progress in his evolution; that half-minute of Kriya equals one year of natural spiritual unfoldment”. “The scripture avers that man requires a million years of normal, disease-less evolution to perfect his human brain sufficiently to express cosmic consciousness…One thousand Kriya practiced in eight hours gives the Yogi, in one day, the equivalent of one thousand years of natural evolution”. However, Yogananda cautioned us to gradually increase our Kriyas, “The body of the average man is like a fifty-watt lamp, which cannot accommodate the bilion watts of power roused by an excessive practice of Kriya. Through gradual and regular increase of the simple and foolproof methods of Kriya, the man’s body becomes astrally transformed day by day, and is finally fitted to express the infinite potentials of cosmic energy; the first materially active expression of spirit”. “As I progress daily on my Kriya yoga practice, I am becoming increasingly sensitive to the emotional feelings of others, especially with people who are close to me such as friends and family. I could feel their sadness, jealousy, their disappointment and etc…. This is one of the incidences that happened a few weeks ago. As I was casually speaking to my close friend, I felt much of her negative force in the form of disappointments in her life. I enquired and she said that she had been very disturbed lately with her studies and was not sure where she was heading in life. The above story clearly demonstrates the love that Kriya Yoga generates within us. This story is also consistent with Yogiraj’s explanation of how we progress along the path of Kriya Yoga as outlined below. Yogiraj explained that initially, the practice of Kriya Yoga will soothe our nerves and calm our mind. We will begin to live more and more in consciousness and less and less in our physical body. As we continue on with the practice, we become more aware of our emotions and as we progress further, we will become more aware of our mental processes. We become less conscious of our body and more conscious of our intellect. Eventually, we will become conscious of our intuition. Our intuition is the ‘transit system’ from the finite soul to the infinite God; the finite consciousness to the infinite consciousness; the true nature of our being. 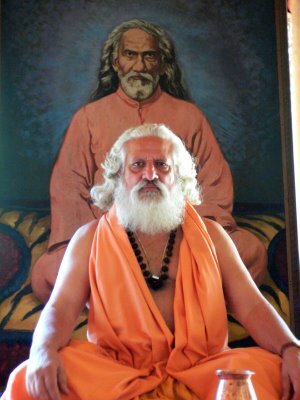 After watching the video by Yogiraj regarding the subject in the preceding paragraph, a good friend said to me, “I was pleasantly surprise how accurate Yogiraj’s description of the experience that we will go through when we practice Kriya Yoga. It is unbelievably accurate”. That is why Swami Rama described Yoga as an exact science; it provides you with a method and gives you an accurate description of the results. Yogiraj concluded, “The practice of Kriya Yoga will give us inner peace and as we continue to practice, the inner peace flowers into bliss and eventually, the bliss flowers into the likeness of our own divinity”. In his video, the ‘Secrets of Kriya Yoga’, Yogiraj explained how Kriya Yoga accelerates our spiritual evolution. He explained that our karmic records are stored in our chakras located along the Sushumna Nadi; the energy channel located in our spine. When we move the Kriya Breath up and down our Sushumna Nadi through the force of our intention, the Kriya Breath rubs against the karmic records and nullifies the negative karma. It also transforms our bodily and emotional diseases into positive life energy. A friend shared with me that he was at first sceptical about Kriya Yoga’s ability to affect spiritual evolution. He was trained in the path of Buddhism and prefers meditation and observing the ego. However, he persisted with his Kriya Yoga practices. As he practiced, he found that he tends to recall his karmic tendencies or habitual thinking patterns during his practice sessions. Because he was filled with prana during those times, he could clearly see that those karmic tendencies were bringing him unnecessary suffering and as a result, he could easily let go of them. We tend to be less conscious when we are tired and our energy level is low. We need prana to sustain our awareness and Kriya Yoga fills us with it. 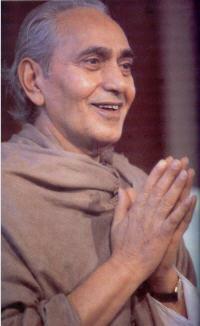 Rudra Shivananda gave an encouraging example of what happens as our karma is purified. Lets say Mr. X has a karmic seed in him to suffer a very serious illness when he is older. Because he practices Kriya Yoga, that karmic seed may be purified and he suffers an illness now that is less serious. Because he is young and strong now, he is in a better position to recover from the illness quickly. Some practitioners may think that Kriya Yoga is creating problems for them and give up. That is a loss they have to suffer due to their karma or more specifically, their habitual way of thinking. However, a practitioner who understands this fact will rejoice as they purify their karma, knowing that it is better to face them now than later. Based on my own experience and the stories told to me by my spiritual brothers and sisters (see my third book ‘Candles of Celebration’), I know that we are never alone when we face our challenges. Behind the clouds of our ego, there is always the smiling face of the Divine. It is like what Yogananda’s sister said to him as they sat on the roof of their home gazing out into the star-filled night. She was in tears as she described how she saw the dark sky as a blanket covering the face of the Divine and the stars are holes in the blanket which the bright light of the Divine shines through to her. This article is really inspiration to kriya yoga students to continue their practices.